Molly loves travel and Spain. Living in Andalusia. Molly has lived in different regions in Spain since 1998. A fluent Spanish speaker Molly enjoys finding out where the locals go and discovering anecdotes and delving into details in local history and culture. Molly loves Spanish Cuisine, local festivals and historic sites. Molly has also enjoyed off the beaten track destinations around Spain. So far she has managed to visit 24 of the 44 UNESCO World Heritage Sites in Spain. 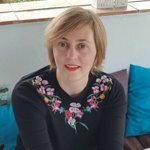 (and many others in Europe too) Writing about Food Travel + Culture in Spain since 2011 she shares insight with people moving to the area or just visiting for a few days. 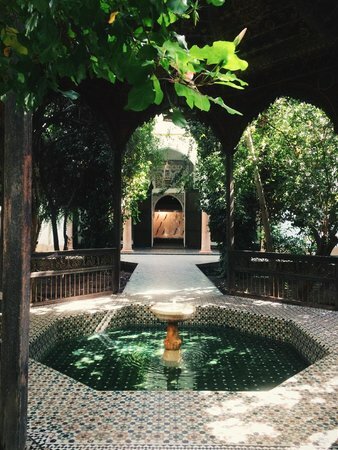 From jewelry to historic royal tombs, Marrakech has a wealth of cultural offerings that are sure to please any art or history fan. For taxi or caleche rides, agree on the price before getting in. Take a caleche (horse and carriage) ride around the souk to soak up the atmosphere. When walking in the souk, keep right to avoid the carts and scooters that dash through the busy streets. It doesn't hurt to know a few words of French (merci, bonjour etc.) — and a smile goes a long way! 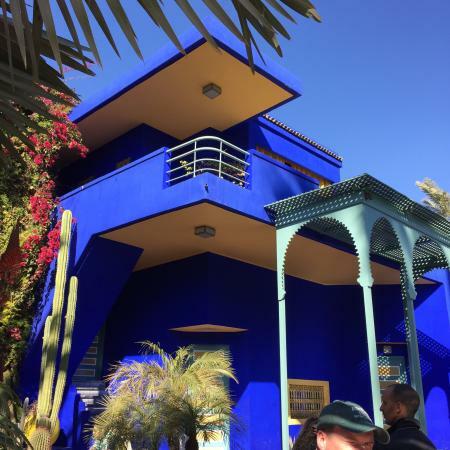 This garden oasis was created by painter Jacques Majorelle and later owned by Yves Saint Laurent, who purchased the villa and garden in 1980, to save it from becoming a hotel complex. 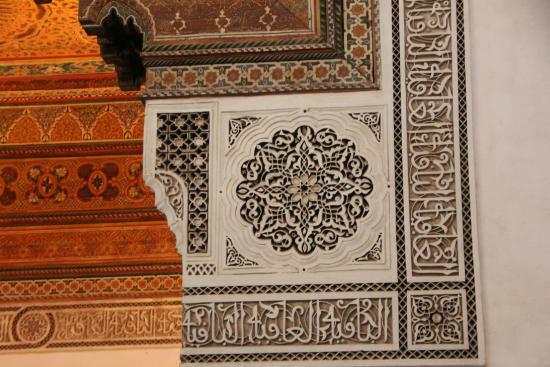 Today, still bursting with the colors that entranced Saint Laurent, it is one of Morocco's most-visited sites. 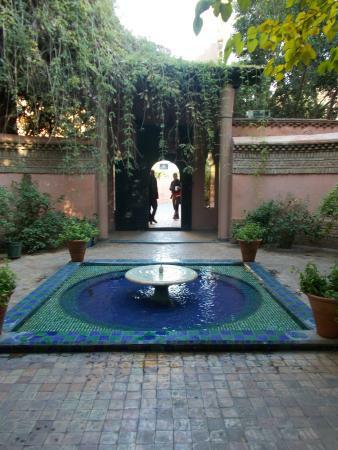 In addition to cascades of bougainvillea, burbling brooks, shady lanes, and stunning art deco architecture, the garden is home to the Berber Museum. 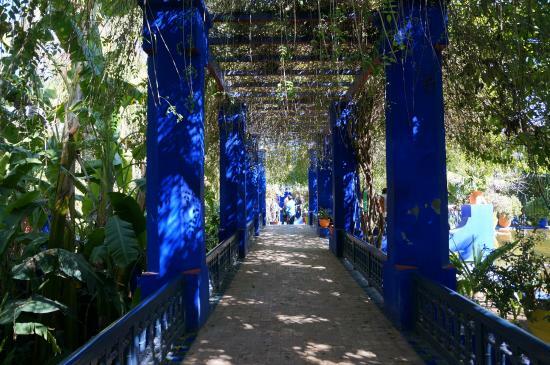 Housed within Marjorelle's studio, the museum is home to some 600 artifacts — from textiles and tools to instruments and jewels — that showcase the culture of Morocco's indigenous population. Between the tranquility of the garden and the beauty of the museum, you'll feel a world away from the busy streets of the souk! The cafe outside the main entrance has a great view, but designer prices. 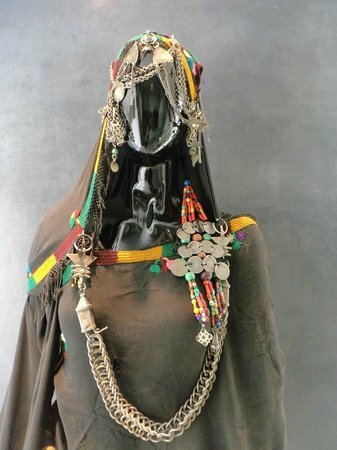 This craft museum takes a look at Morocco through its everyday items, from clothing and jewelry to tools and local crafts. 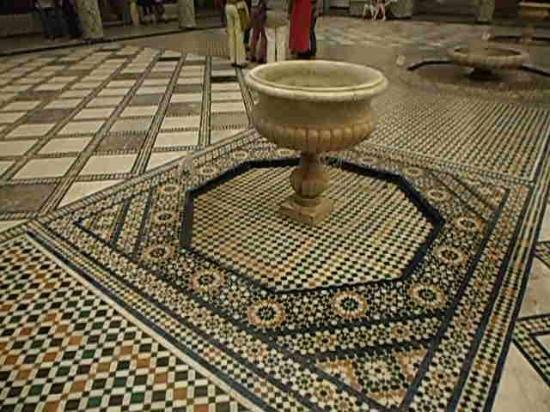 The Dar Si Said Museum is also worth seeing for the beautiful design of building itself, complete with stunning mosaic interiors. The museum is open from 9am to 4:45pm. Don't miss the courtyard at the back of the museum. 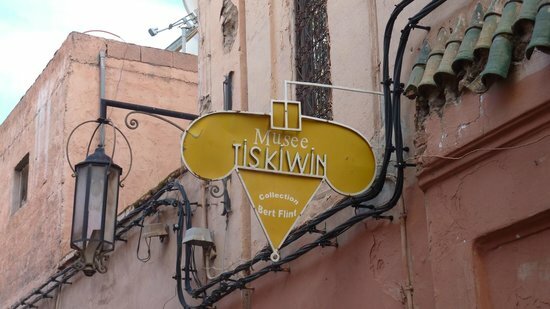 The Maison Tiskiwin is owned by Bert Flint, a Dutch anthropologist and avid collector of North African Art. It showcases pieces from the Sahara, Morocco, and Mali, which he collected during his travels in Africa. Each room has items from different regions. 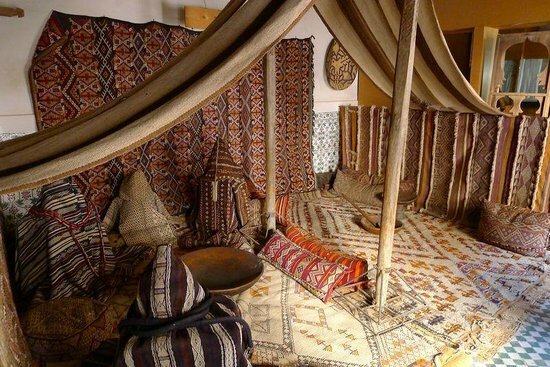 There is even room with a whole Berber tent inside! 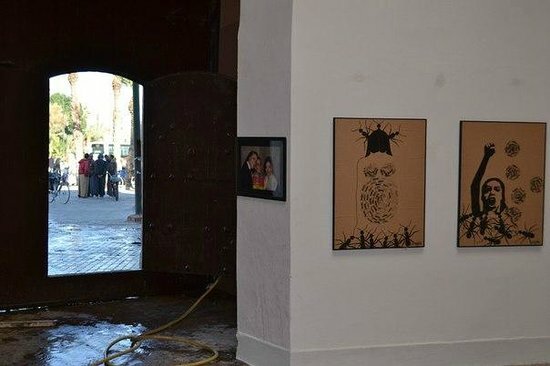 This museum is great if you have limited time in Morocco. Bahia Palace (or 'palace of the beautiful') was built over a 14-year period for the notorious Grand Vizier (high official) Bou Ahmed. 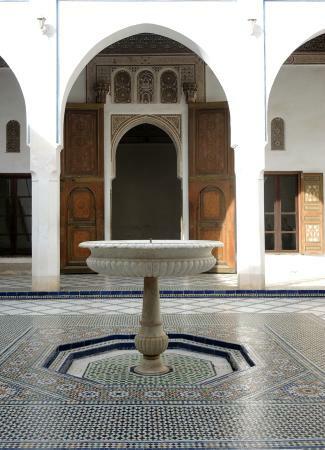 Take note of the colorful, intricate woodwork and enjoy the tranquil courtyards. 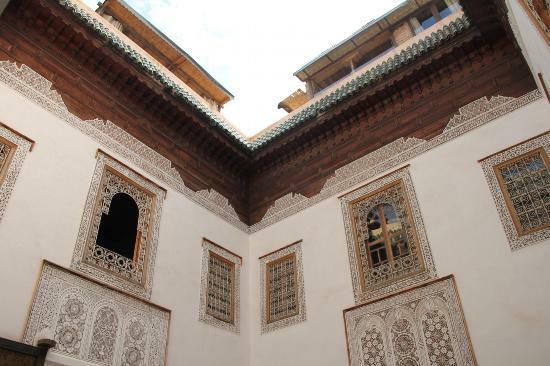 The highlight of the visit, though, is without a doubt the Harem of Lalla Zineb, once home to Bou Ahmed's wives and concubines and decorated in woven-silk panels, intricate marquetry, and colorful stained-glass windows. Only a small part of the palace is open to visitors. Check before visiting, as the palace may be closed to the public if the royal family is in town. 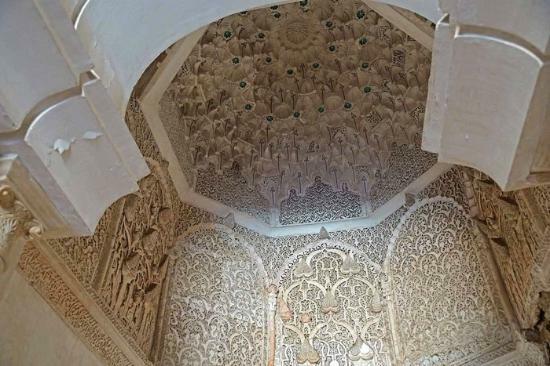 Intricately decorated with elaborate carvings and Arabic script, the Saadian Tombs contain 100-some lavish tombs, the oldest to dating back to 1557. 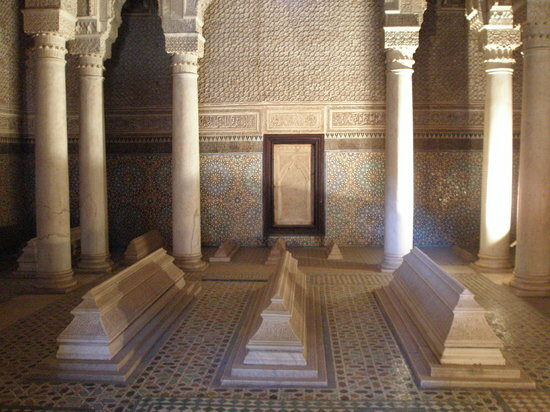 Sealed up by Sultan Moulay Ismail in 1603, the tombs were largely forgotten for centuries, until they were rediscovered in 1917. Today, visitors can explore these lavish final resting places and enjoy the beautiful main buildings, all built under Sultan Ahmed el Mansour. The tombs are open in mornings (8:30-11:45am) and afternoons (2:30-5:45pm). Try to arrive early so that you beat the group tours. 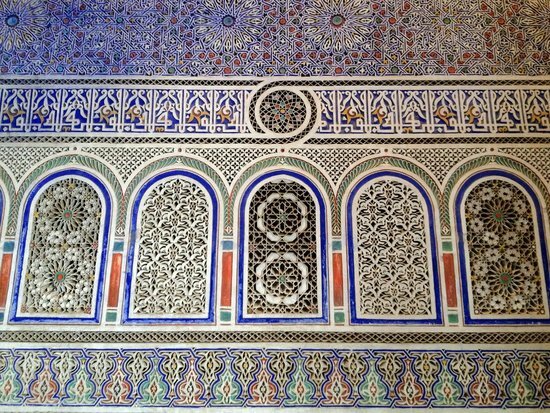 Notice the colorful wall tiles and the Mihrab towards the back of the building. This popular stop for visitors can have very long queues at times, but the it's are worth the effort. 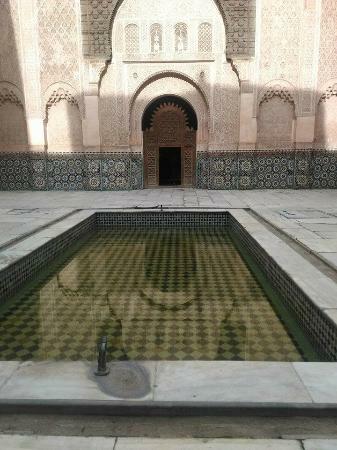 A Madrasa is a Koranic school, and this one, dating from the 16th century, is one of the largest and best preserved. 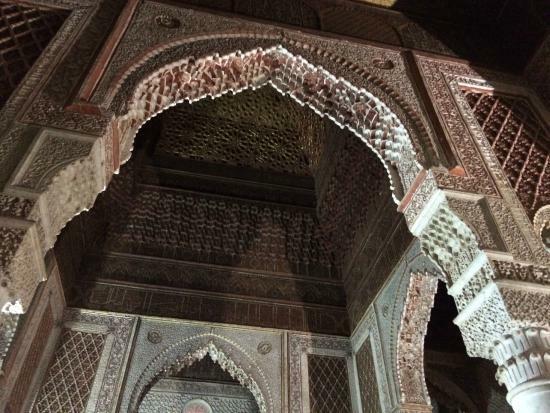 The Moroccan craftsmanship alone makes this building well worth a visit. 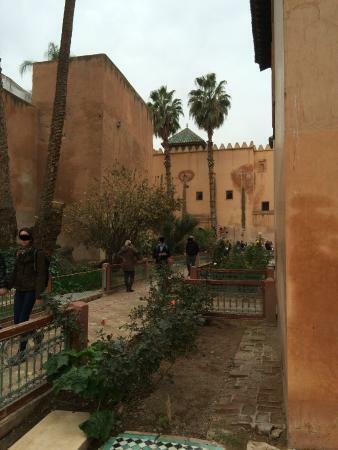 Get the combined ticket for same-day access to three places: Ben Youssef, Musée de Marrakech, and Koubba el Badiyin. 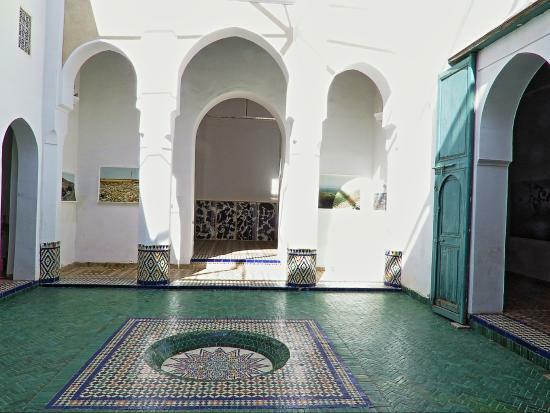 Musee de Bijoux Nawahi is located inside a Riad, and each of its rooms features jewelry from a different historic period. 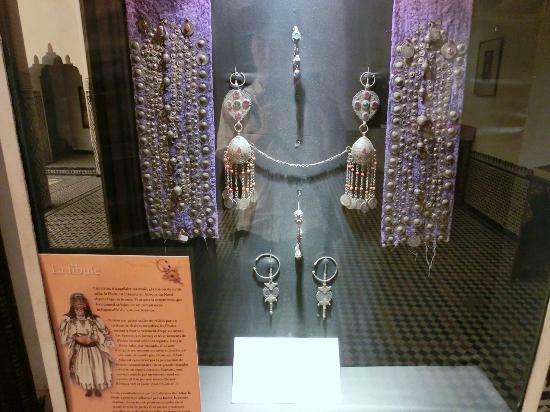 The interesting collection includes silverwork, beadwork, and embroidery. Head up to the roof terrace to enjoy views along with an orange juice or a snack. 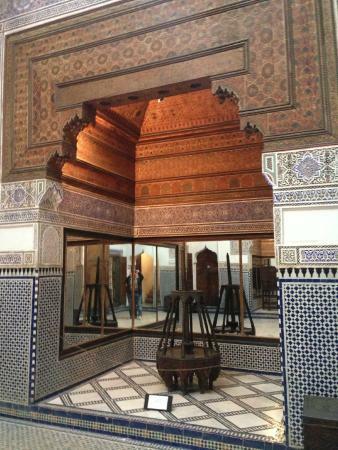 Set inside the 19th-century Palace of Dar Menebhi, Museum of Marrakech is a must for art lovers and artists. 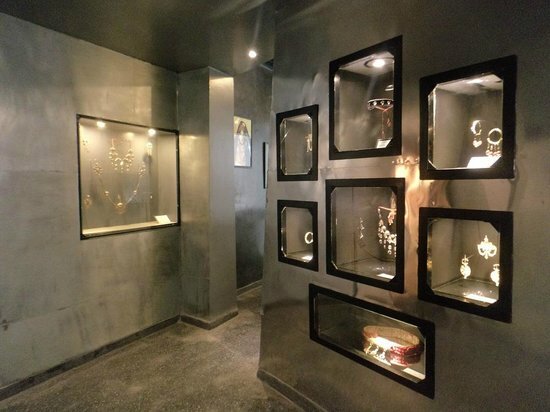 In addition to a large collection of contemporary art, featuring the many artists who have passed through the city over the years, the museum features special displays of jewelry and manuscripts,. There are also beautiful examples of Moroccan and Berber pottery to admire. 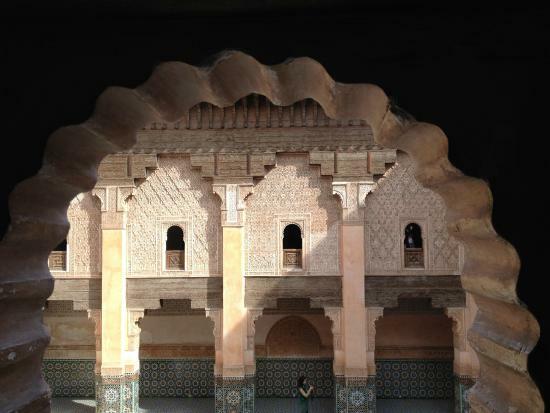 Get a ticket for same-day access to three places: Ben Youssef, Musée de Marrakech, and Koubba el Badiyin. The shop sells books, prints, and tee shirts. 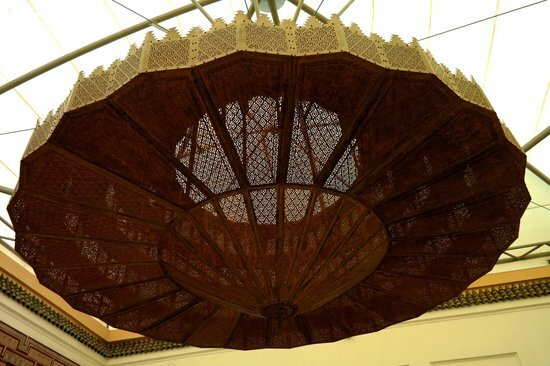 Items are only named in French and Arabic, without lengthy explanations, but the juxtaposition of exhibits against the stunning interiors still makes this museum a must. 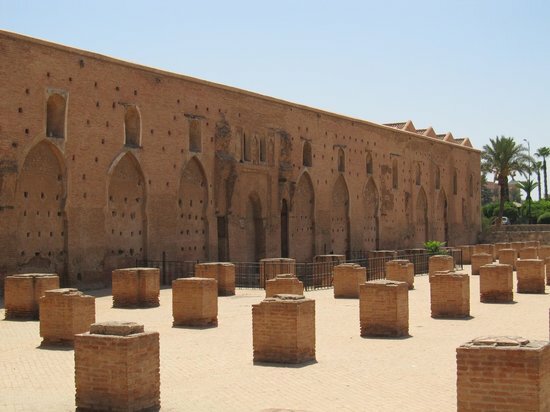 The Koutoubia is the largest mosque in Marrakech. 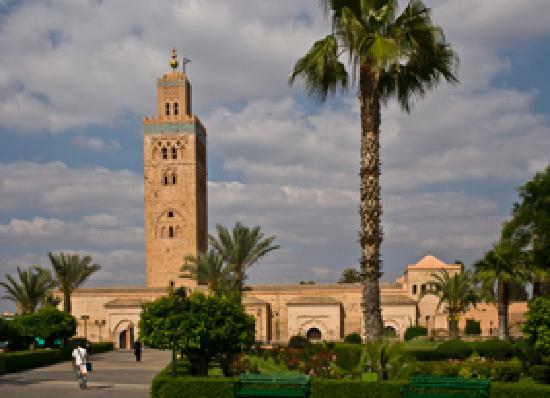 Its minaret — which inspired the design of the Giralda in Seville, Spain — is over 70 meters high and clearly visible on the Marrakech skyline. Next to the mosque are gardens and a large square, which are pleasant places to explore after you've walked along the walls of the mosque (non-Muslims are not allowed inside). The tower is lit up at night. 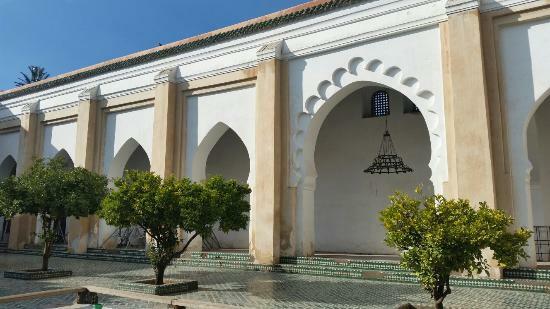 Koutoubia is known as "the mosque of the booksellers," since 12th-century booksellers would set up stalls in this area.